Home Fashion & Entertainment #HallelujahChallenge: Funke Akindele prays to God for a child!!!!! #HallelujahChallenge: Funke Akindele prays to God for a child!!!!! 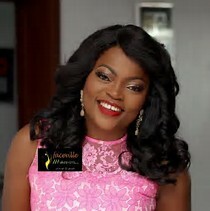 Nollywood actress and filmmaker, Funke Akindele , has joined other celebrities in Gospel artiste, Nathaniel Bassey ‘s Instagram live praise session tagged Hallelujah Challenge. At the end of the the prayer session the actress made the following proclamation in the comment section, ‘Emi naa Dolomo’ which means ‘I have become a mother"